Are you a blogger and want to take your blog to the next level? Do you want to reach many more people and became an influential material provider through video? Do you want to start vlogging? There are many top bloggers in today’s world of instant messaging, and it is a great way to get a message across to a wide range of people across the world. The reach of the blogger has become immense, and now, many are adding to that reach with vlogging, providing that same information through video blogs. Before long, you could be sending your vlogs to huge numbers of fans and followers, providing great content that is more user-friendly than a simple written message. 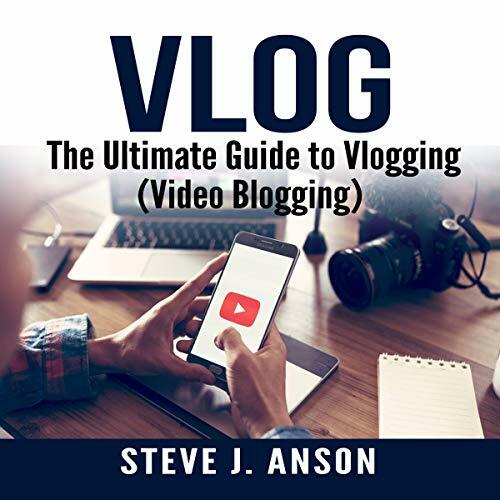 And with Vlog: The Ultimate Guide to Vlogging (Video Blogging), it is made easy. Don’t delay. Get a copy and start now. Millions are waiting to hear your voice!